This week Rick and Piper tread off the beaten path to cover a non-Pop! related topic: Mystery Minis. Collectors are expanding what the collect and are beginning to add Mystery Minis to compliment their Pop! collections. This means one thing, the Flippers are salivating and Rick and Piper are here to help! They also discuss some breaking Funko related news, tell us about their Box of Fun pickups, give us the weekly announcement and a special shout out to an International listener. Join the team next week for some Q&A fun and so much more. LEARN TO COLLECT MYSTERY MINIS (you need this guide to go along with the episode). Patreon: There will be a new list of rewards coming in August. But don’t miss out on exclusive Patron only benefits HERE. Please tell your friends about this podcast. Take a second to rate and review this podcast it really goes a long way in promoting and growing the Alliance. Elite applications are open look out for a link later this month newsletter subscribers. You can subscribe for our newsletter HERE. Pop Collectors Alliance will be traveling to New York City Comic Con!!!!!!! Piper worked tirelessly to get everything on the PCA website looking amazing and he did a great job. You can even checkout some of the new exclusives they discussed this week. Visit popcollectorsalliance.com and tell Piper what an amazing job he did. The post EP030 – A PCA Guide to Mystery Minis appeared first on AstroPanda. 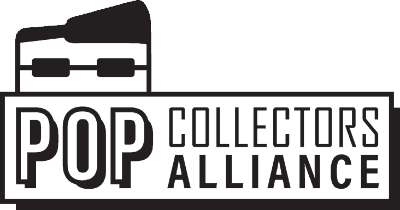 I am the Technical Editor of Pop Collectors Alliance and co-host of the Pop Collectors Alliance Podcast. I am the keeper of this fine website. Some call me Captain Strong Beard, others know me by my lack of general ability to interact with the public.